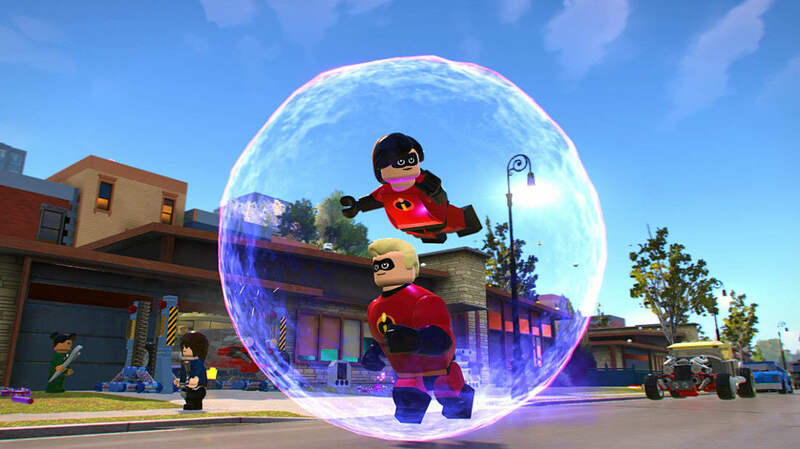 Note: As I have limited experience with both LEGO games and The Incredibles, this review is largely based on the game's overall appeal for adults and kids, based on play sessions with my five-year-old. The town is under attack by a crazy mining drill machine and only one family can save it: The Parr family, aka, The Incredibles! 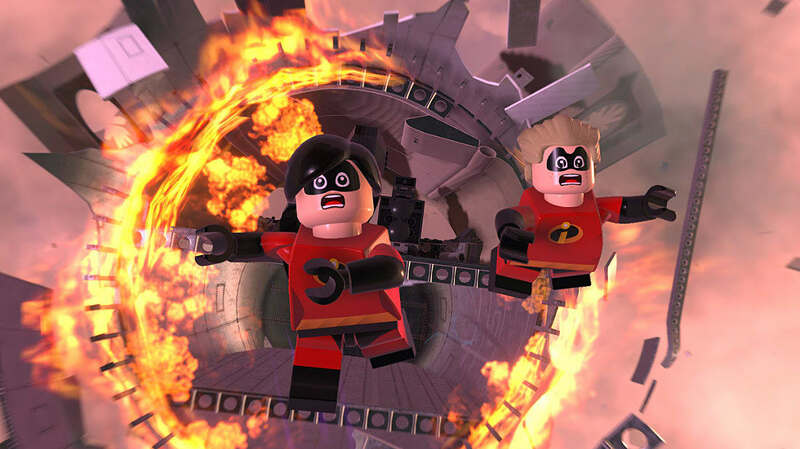 That's right, the newest installment of the LEGO universe is here, and this time it's stretching its long arms right into the Incredibles franchise. 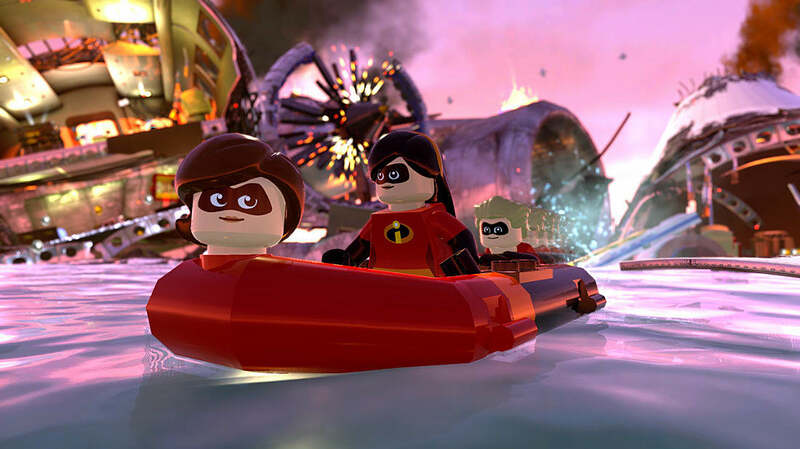 Brought to you by TT Games and Disney-Pixar, LEGO The Incredibles is a fun, family-friendly romp through cheesy puns and superhero trope bending galore. If you've watched The Incredibles 2, the opening line to this review may sound familiar. That's because the game starts the same way as the movie. In fact, the LEGO game closely follows the events of the second movie and then the first, covering the major events in both. As soon as you defeat the dastardly villain The Underminer, you discover that Supers like the Parr family (that is, people with superpowers) are illegal. Rather than face prison for, well, saving the city, the Parr family is given another choice: to change the public perception of the Supers. Thus begins an epic crime-stopping, back-bending superpower adventure. The game pokes fun at superhero tropes like ridiculous super villains while remaining true to the Incredibles universe with its characters and designs. 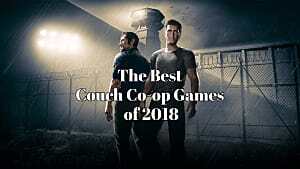 The game adapts the movies for a younger audience, though, (for instance, by removing mentions of death and some of the darker overtones of the movies) so you can safely hand the controller to the budding little gamers in your family for couch co-op and fight crime and corruption as a family. The idea is familiar if you've played any other LEGO games: Players control members of the Incredibles franchise (including, of course, the titular family) as they work together to build LEGO creations, solve blocky puzzles, and destroy literally everything around them for that sweet, sweet gold. Each character has their own special skill, with plenty of variety for any play style. Violet, for instance, is able to surround herself with a protective psionic orb, Elastigirl can stretch her way into tight spots or turn into a human pogo-stick, Dash can, well, dash, and so on. Various characters are called upon as you progress to get the team past a sticky situation using their special power. One particularly fun aspect of this game, though, is how well it incorporates cooperation. For instance, Violet can take another character for a safe hamster-ball ride in her force orb, while Mr. Incredible can throw others to hard-to-reach places. Although this game can definitely be played alone, its strengths are absolutely amplified when playing with a partner (especially a young, easily-excitable partner). The action is quick and epic and carries on the movies' silliness and good humor with less of the underlying darkness. Passerby comments are particularly amusing — "I have to go feed my chinchilla!" — with a sprinkling of higher-level humor that kids might not get (though nothing inappropriate, as far as we could tell) — like the girl who thought she had developed door-opening superpowers… until she realized she was just standing in front of an automatic door. And the puns! Oh, the puns. They are so ridiculously cheesy that the little ones will find them giggle-worthy while the adults will groan. But they are definitely fun! LEGO The Incredibles has a few special, story-related levels that mostly follow the LEGO format but sometimes throw in a bike chase sequence or another unique twist on things. These story levels can be a bit of a drag as it's not always clear what the game wants you to do. The real fun of the game, though, comes from the free exploration allowed most of the time. During these segments, you can either follow the markers to the next story mission, or you can ignore the next mission completely and instead explore new areas. Every area has some crime that the Parr family has to put an end to, (like the ice-cream thief supervillain who tries to freeze the docks because… well, actually, I'm not entirely sure. Just go with it.). Once you clear the section of the crime that's afflicting it, the minimap reveals the locations of various collectibles and action points around it. And there are a lot of collectibles and points to explore/actions to complete. You can go around fixing things or breaking things, helping people, finding special blocks, and so much more. You can even go all Grand Theft Auto and steal a car for faster travel (just pluck the driver out and make yourself at home). 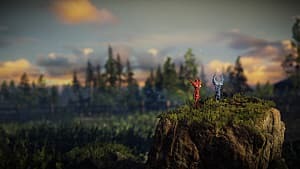 This free exploration is an incredibly freeing and fun experience, and often it's more fun to just lose yourself in the side stuff rather than move on to the next story point. During these exploration segments, you can also use any character you've unlocked — a feat you accomplish by finding or buying blind-bags. This means you can play the character whose skills you prefer, rather than just use the ones who came along to the mission (and your partner in crime-fighting can be "that girl with the brown hair and the stretchy arms"). As an added bonus, you're not limited to the Incredibles universe: some other Pixar names may make an appearance, providing fun Easter eggs for those of us who grew up on their movies. You also have the option to create your very own superheroes from parts you find or acquire through mystery bags. 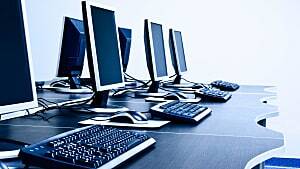 Between the creation and the 100+ characters available, there are plenty of choices to appeal to everyone! Once you're ready to move on to the next point, just set a marker on the minimap and off you go! 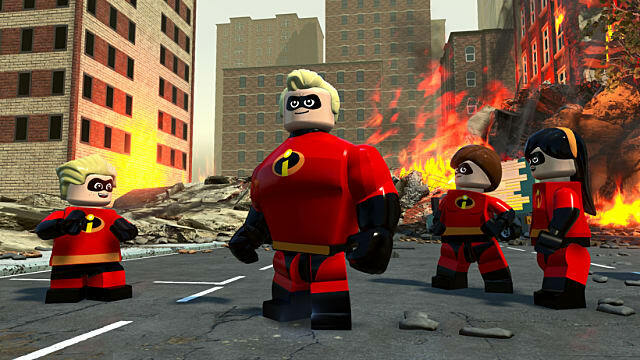 That said, it's so much fun to run around destroying things, and the humor is so slapstick and fun, that LEGO The Incredibles will charm whoever plays it — whether you're familiar with either franchise or not. 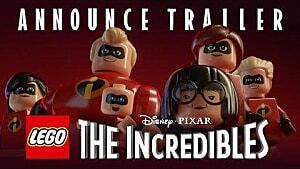 Swing, stomp, and stretch into action with LEGO The Incredibles, the newest installment in the LEGO franchise. But is it an incredible ride, or a flop? Find out in this review!